The Greatest Day in Racing has come and gone, and its final leg, NASCAR’s Coca-Cola 600, is now behind us. NASCAR’s second crown jewel event was an… interesting race, I guess, provided you like the whole fuel mileage thing. For those of us that like passing, well, I’ll just change the topic so I don’t get fined. 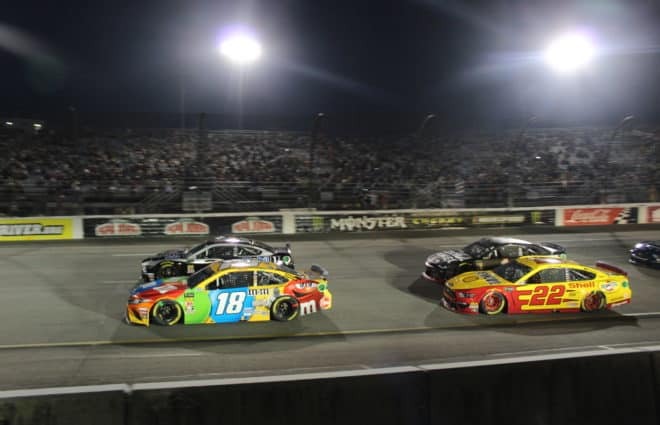 With Charlotte Speedweeks firmly in the rear view, the FedEx 400 at Dover International Speedway is the next event on which the NASCAR world has its attention. Dover, famously known as the Monster Mile, is one of the few truly unique tracks left on the NASCAR schedule and stands as one of the most challenging tracks that the drivers will face over the course of the season. Will a certain Mayetta, N.J., native finally seal the deal at a track he once conquered? Or will Jimmie Johnson steal everyone’s thunder at Dover like he always has when the series rolls into Delaware? These are the questions we’ll be asking before Sunday’s FedEx 400. 1. Will Martin Truex, Jr. finally catch a break? Martin Truex, Jr. and his Furniture Row Racing No. 78 team have been perhaps the most heartwarming story of 2015. In an era where over-resourced, multi-car teams have a near-monopoly on the sport, Furniture Row’s little one-car team has managed to do the unthinkable. The No. 78 squad is second in points courtesy of uber-fast equipment and career-best driving on the part of Truex. The team has been a threat to win every week, on every style of track, without failure. Unfortunately for Truex and company, for all the success they’ve had this season, a win has totally eluded them. In the past two points-paying races, Truex has had the best car in the field, hands down. 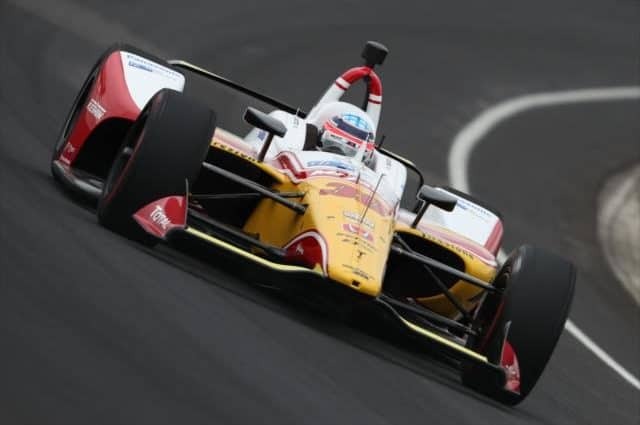 But a combination of bad luck, poor pit strategy and lack of late-race aggression has robbed him of two victories that likely should have been his. Enter Dover, Truex’s home track, and the site of his first win in the NASCAR Sprint Cup Series back in 2007. Truex has always been strong here, and given how fast his cars have been this year, should undoubtedly be fast again. I think he’ll be in the mix for the win, but if late-race theatrics crop up again, it will be intriguing to see how the team handles it for a third race in a row. 2. Will Smoke crawl out of his doldrums? Tony Stewart has made it very clear that he is not a fan of the 2015 intermediate track aero package. And if you look at how he has performed this year, his disdain for the package certainly shows. Stewart has always preferred to drive loose race cars with very little grip and very little horsepower. 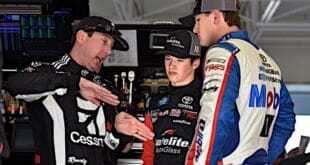 The high-grip, high-downforce, momentum-oriented racing that the Gen-6 car has brought since its introduction in 2013 has provided the exact opposite style of racing that Stewart desires. You can thus take a guess as to why he has performed so poorly in the Gen-6 era. The reality is that it doesn’t matter if Stewart likes the package or not. The package is what the package is, and if he wants to move up from 30th in the point standings, he’ll have to adapt. Luckily, Dover is a place where Stewart can do just that. Dover was the site of his most recent win (in 2013) and is one of a select few tracks that this aero package won’t have a huge effect on in terms of changing how the track is driven. In other words, ‘ol Smoke has all the tools he could possibly need to win. With only 14 races left before the Chase begins, the time is now for Stewart to start turning it around. Excuses won’t cut it at this juncture, and Dover is probably Stewart’s best shot to get his team back on track for quite a while. Will he actually step up? 3. Can Joe Gibbs Racing back up its performance? 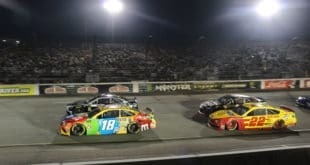 Last week, I pointed out the recent speed that Joe Gibbs Racing has displayed in recent weeks and questioned whether or not the team could turn that speed into good runs at Charlotte. As it turned out, it lived up to the expectations laid out for the organization. For the first time in over a year, Joe Gibbs Racing looked like its old self. Now, the question is whether or not the team can back up its performance once again at one of its worst race tracks. 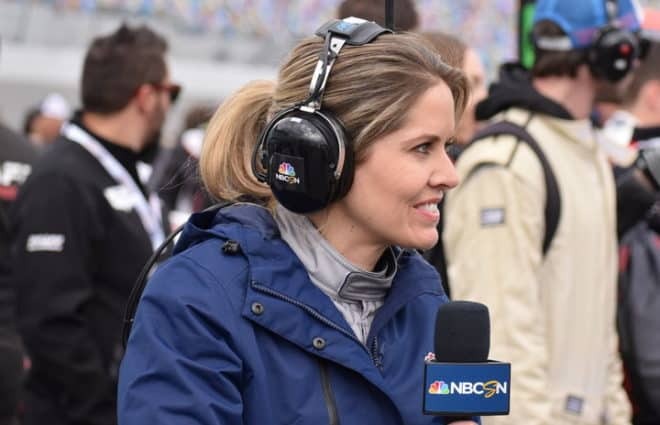 Charlotte is now long gone, and many eyes in the NASCAR world will be transfixed on JGR, hoping the team is the long-awaited antidote to the Hendrick and Hendrick satellite team dominance of 2015. I think Dover is the perfect test for them. 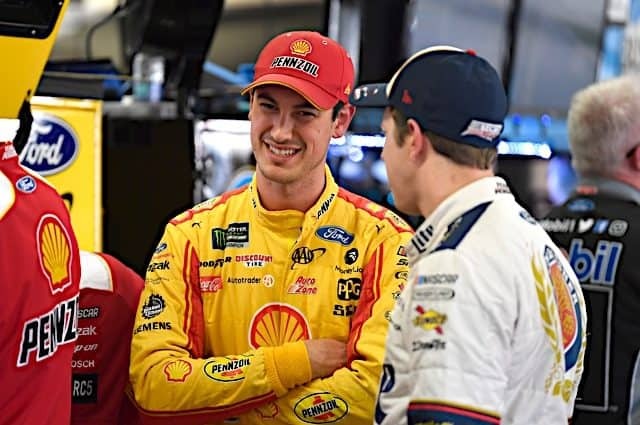 Not a single one of the team’s four drivers, save for Carl Edwards, has been especially great at Dover historically (granted, when you compare everyone’s Dover performance to Jimmie Johnson’s absurd numbers, no one looks good), so if the team shows speed across the board at a track at which collectively it’s never excelled, that’s about as good of a sign as JGR execs could hope for. 4. Is a Johnson victory an easy conclusion? In case you haven’t watched many Dover races in the past decade, let me fill you in on what has happened there over the years: Jimmie Johnson has won, a lot. In 26 races at Dover, Johnson has won an astounding nine times. That’s a 34 percent winning percentage. 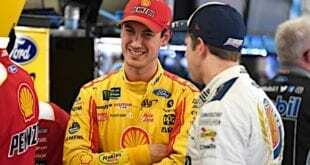 In Sprint Cup competition, that is absolutely unheard of. The man is simply unstoppable at this place. In fact, Johnson is so good at Dover that prognosticators essentially write off all other competitors any time the series rolls into Dover. Non-Johnson wins are considered anomalies in their eyes. I happen to be one of those prognosticators… usually. But I happen to be slightly more apprehensive about picking Johnson this week. Why? Well, just look at what this team has been doing the past month. The No. 48 group has been the definition of feast or famine, Johnson seems to either compete for the win or compete for 15th. There’s been no in-between, and it’s all due to crew chief Chad Knaus’ insistence on trying out experimental setups before the Chase. With Dover having a second race in the Chase, my guess is that another experimental setup will be placed underneath the No. 48 car on Sundaay, which heavily reduces Johnson’s status as a clear favorite. So try to put the “Johnson owns Dover” narrative into perspective. A win would not be a surprise at all on Sunday, but under these recent circumstances, it shouldn’t necessarily be expected. 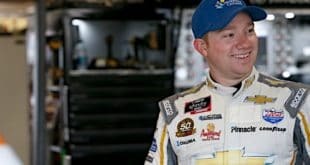 This year on Four Burning Questions, I will share my fantasy picks from the Frontstretch Fantasy NASCAR League, located here on NASCAR.com. Here are my picks from this week. Join the league and see if you can beat me! Jimmie Johnson ($27.50) – No, I don’t think he’s the lock that he usually is at Dover. Yes, you should still put him in your lineup. Martin Truex, Jr. ($22.25) – Easily the most undervalued driver on the site, and he’s the hottest driver out there right now. Carl Edwards ($25.25) – JGR is surging, and he’s been fairly solid in recent years at Dover. David Ragan ($11.75) – We’re pretty much just riding this train until the value doesn’t make sense anymore. Danica Patrick ($13.50) – Give her a shot. She’s been decent enough on short tracks recently and is due for a good day. Lets see what JGR can do to crawl out of their long deep hole, Carl won it not by mixing it up, fuel mileage, but it happens. Sadly he is now in “The Chase” when his races prior to this were utterly not in ballpark of a “Champ” same to be said for Hamlin. Imo. Wow, now a fuel mileage win by a nobody in a mid pack car is a ” surge” for an over covered underperforming organization. Who knew!